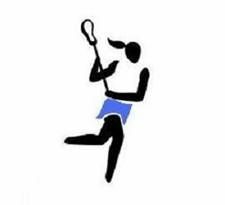 Registration for Hudson LaxFest 2019 will open on Monday, April 8 at 7 P.M. This is for both U14 teams. The 2019 Laxfest is quickly approaching and we are excited to host your teams. We have lots of information to share with you and your families. Please note that we have over 140 teams between the 2 days. It should be fun but it is very taxing on our finite amount of fields, parking, and other facilities. Due to construction of a new Hudson Middle School and updates to the Natatorium at East Woods Elementary, we have to adjust to fewer fields and reduced space. · Schedules will come out next week and we will notify you by email. Any changes to bracket level (Developmental <--> Competitive) must be requested by midnight on Sunday, April 28th. · We will be using Tourney Machine app this year for families to keep their schedules handy. It will be available at the same time the schedule is published. · Please review the attached Field Map. Each team is responsible for providing someone to work the scorer’s table and end line balls. · Each day will have 75+ teams coming to the tournament. PLEASE ENCOURAGE FAMILIES TO CARPOOL! The amount of parking has not changed. · NEW FOR 2019 – LIMITED AMOUNT OF RESERVED PARKING! We are offering about 50 parking spaces each day, which are ideally located near Fields 1A/1B/1C/2/3/4 at East Woods Elementary. PRE-PAID RESERVED PARKING can be purchased for $20 on the Laxfest site; if there are still openings, $30 on the day of the event. · We will run a continuous bus shuttle all day to our high school parking lot (2500 Hudson-Aurora Rd.) for parking. We have multiple busses to ensure that they are running continuously with minimal wait time. · Busses will drop off at East Woods Elementary and we will have golf carts making rounds to provide rides for people needing assistance. If your start time is later (after 11am), it is best just to head straight to Hudson High School. · Do not park in the neighborhoods where there are No Parking signs posted (marked on the map). The Police will ticket. We do not want this to be an expensive day for families. · Handicap parking is available in multiple areas in the complex. · No RV’s can be accommodated in the field and parking complex. They will have to be parked at the off-site high school parking lot. · As in the past, there will be food vendors, Step-In Sports selling lacrosse equipment and music all in a central area. · LAXFEST T-SHIRT Preorder. T-shirts have sold out in the past so make sure to preorder to get the size you want! Pick up at the T-Shirt tent the day of your games. · Laxfest is set on our 120-acre Hudson Schools campus. There are families and neighborhoods that surround the fields. Please be respectful of their space and privacy. There are plenty of port-o-potties around the fields for use. · There will be free face painting and hair braiding for the younger players and siblings, staffed by Hudson High School students. For the first time WPSLA will be hosting a t-shirt design contest. Please consider sending this email off to your families. Any design (or partial design) selected will award the winner with a free shirt +5 additional shirts to give out to friends, family or coaches! 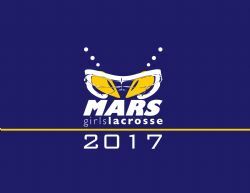 The design should be fun, lacrosse related and all inclusive. 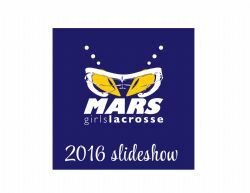 Submissions are due no later than April 30th and must be sent as a Word or Publisher file to WPSAgirls@gmail.com. Non-selected design ideas may be retained for future use. Thank you and let your creativity shine! Can you attend WPSLA Tournament only? Can you attend the Gold Tournament only? **Also, please remember to register on our website for the Hudson Tournament on May 5th. We need a count on the number of girls that can attend to make sure we have enough girls. Registering on the website also makes it easier for your coach to email only the interested girls. This summer, Saint Vincent is offering one session of overnight with a commuter (Extended Day Camp 9:00 AM to 9:00 PM) option available. A detailed camper registration packet containing check-in location, health/release forms, emergency contact info, and a list of things to bring will be emailed to all registered campers prior to camp. Our health and release forms do not require a doctor's signature and they will be collected on the first day of camp. The last session will take place Thursday morning, July 18th. Exact time and location of the camp closing ceremony will be confirmed by the camp director on the first day of camp. Overnight campers check-out from the dorms between 12:30-2:00pm. Campers stay 2-per room and are assigned by age and roommate requests. If you have a roommate request, and have not already given it to us, please do so no later than 10 days before the start of camp. Roommate requests are not guaranteed! If you don't have a roommate request, you will be placed in a room with someone near your age. The staff live in the dormitories with the campers and participate in all activities. Drugs, alcohol and tobacco are strictly prohibited, and constitute, along with general misconduct, grounds for dismissal from camp without a refund. TEAM DISCOUNT: If five or more campers register together, each camper is eligible for a $25 discount. Please have a team contact reach out directly to the USSC office at 1-800-645-3226 to receive a discount code to identify your group. Campers may then register through the website at their convenience and apply the coupon code during check-out..
GOALIE DISCOUNT: To ensure each session has enough goalies for drills and scrimmages, all goalies automatically qualify for a special $50 discount. You can call 1-800-645-3226 to receive the goalie discount over the phone or you can indicate that you are eligible for the goalie discount in the “comments” field when registering via our secure website. Goalie discount cannot be combined with any other discount. Please follow our Facebook page so that you can stay connected with us. It is a great way to see fun photos and receive all the latest information about our program and upcoming events. We now accept Visa, MasterCard, and Discover!!! We are so excited to get the season started. Please be sure to check the schedule on the website prior to any games or practices. The SI Play app is great to get last minute information about your team.